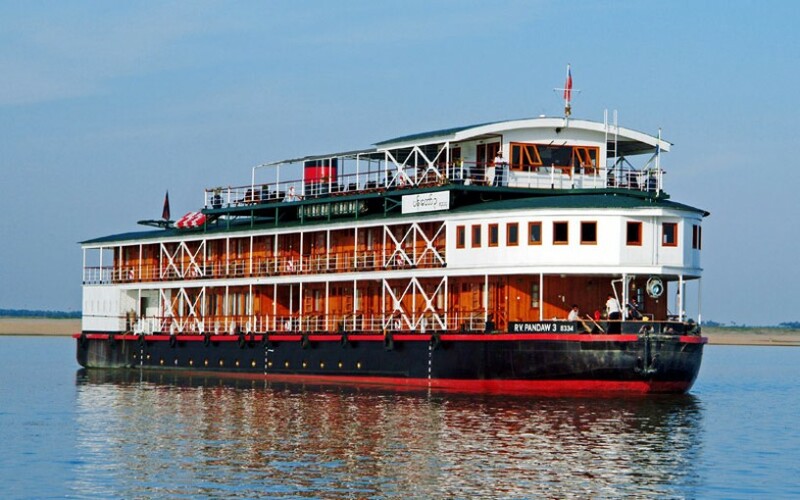 As Myanmar has Big Rivers between cities, traveler may enjoy cruises tour in Myanmar by discovering natural beauties and ways of life of local people who stay along the river and relaxing. Day Cruise, Sunset Cruise, Dinner Cruise and Overnight Cruise are available. Recommend Period for cruising: From mid-October to end of March in every year. Here are some overnight cruise packages. EMBARKATION Embark the ship at Gawein Jetty at 12:00 noon and serve lunch . AFTERNOON EXCURSION: Amarapura This afternoon visit to Amarapura , former capital of Myanmar. Your visit focuses on the famous U BEIN BRIDGE, a three-quarter-mile-long bridge built in 1783 from reclaimed teakwood from the old royal palace in Inwa. The bridge is still a cornerstone of the community as locals and monks use it daily to cross Taungthaman Lake while fishermen and farmers go about their daily work below. Take a SAMPAN RIDE on the lake for memorable views of the sunset behind the iconic bridge. Moor overnight at Mandalay. This evening, enjoy a TRADITIONAL DANCE PERFORMANCE on sundeck. MORNING EXCURSION: Mandalay After breakfast, visit KUTHODAW PAGODA and SHWENANDAW MONASTERY, the only remnant of former King Mindon’s “Golden City” to survive the bombing of World War II. Originally the king’s living quarters, the building was moved after his death to its current location and converted into a monastery. Today, the original gilding has faded, but the intricate wood carvings endure, giving you a sense of how extravagant the original teak palace complex was. Lastly, stop at a GOLD LEAF WORKSHOP to see how it is made. AFTERNOON EXCURSION : Mingun Mingun, Visit the unfinished pagoda where construction was abandoned at 160 feet only a third of the planned height, Mya Thein Tan Pagoda (White Pagoda) and the largest working bell in the world. After lunch, sail a short distance to Mandalay. Enjoy Sailing the whole morning. AFTERNOON EXCURSION: Kyauk Myaung This afternoon, take a WALKING TOUR through the captivating pottery-making village of Kyauk Myaung. Here you will learn more about the pot-making process and see how they are formed, fired, and glazed. Most interesting is the eye-catching 50-gallon variety, often referred to as Martaban or Ali Baba jars in colonial times. These pots could transport large quantities of liquor, fish sauce, peanut oil, and more, and have played an important part of maritime trade throughout Asia for centuries. Entering the third defile after the excursion. Enjoy Sailing the whole morning. AFTERNOON EXCURSION: Tagaung Working tour in Tagaung where Myanmar start in that old city which is located east bank of river. Visit vegetables market and famous spirits of Myanmar. MORNING EXCURSION: Tigyang Sail to the small village of Tigyang for an afternoon WALKING TOUR through its narrow lanes and to visit the pagoda and reclining Buddha on a hilltop with stunning views. Moor overnight at midriver. Sailing the rest of the day and moor overnight midstream. MORNING EXCURSION : Katha Start your day with a visit to the LOCAL MARKET in Katha, where you will see the locals buying and selling fish, meat, produce, and more. Next, stop at the former British Club, featured in George Orwell’s novel Burmese Days. Here learn a bit more about how life was here during British rule. Lastly, journey a short distance to a local JINGPO VILLAGE. A subset of the Kachin, the Jingpo are one of over 100 ethnic minority groups in Myanmar. Here you will learn about their culture, traditional dress, and their unique method of making rice wine. Sail the rest of the day. MORNING EXCURSION: Kyun Daw This morning, visit the fascinating island village of Kyun Daw , where over 7,000 stupas surround the monastery. Take a WALKING TOUR for memorable encounters with the villagers. Visit a SCHOOL to interact with the children. You will also visit a NUNNERY to present the nuns with food purchased the day before at the market in Bhamo. Unlike monks, they have to collect and cook their own food. AFTERNOON : 2nd Defile As you sail south this afternoon, with some luck, you may catch a glimpse of the rare Irrawaddy dolphin with its distinctive round forehead . Around early evening, cross the spectacular Second defile, the largest of the Irrawaddy gorges, with its magnificent cliffs reaching down the narrow channel. Tonight, join your Cruise Director and ship’s crew for a FAREWELL RECEPTION and special FAREWELL DINNER. MORNING EXCURSION & DISEMBARKATION: Bhamo After breakfast, EXPLORE BHAMO by Tuk Tuk and by foot. Then transfer to the airport for your flight to Mandalay or Yangon (via Mandalay) Note: Due to water level, speed boat may be used for transfer from ship to the Jetty. Lunch box provide by the ship. Please note that the flight from/to Bhamo is not included in the cruise price. Should you wish us to book this flight please let us know of the flight time of booking. The airfare will be included in our extensions post tours. 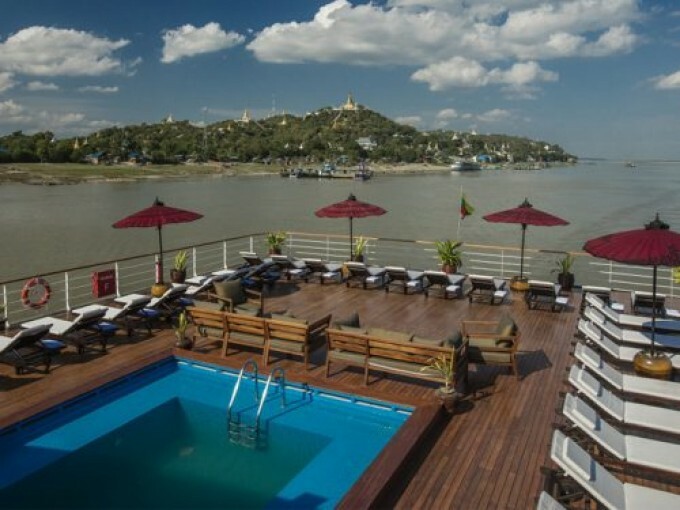 Pyay-Bagan-Mandalay route and Bagan-Monywa-Kalewa-Mawlaik-Mandalay route are also available by cruise. As overnight cruises do not operate daily, please contact us first for your traveling date to check the availability of the cruise. For more detail about travel itinerary, price & services including, we will get back you within 24 hours after receiving your mail. Just one click to send us an email with your information.